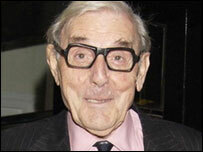 Comedian and writer Eric Sykes is to receive a CBE for services to drama in the New Year's honours. The Oldham-born comic wrote and starred in the BBC TV series Sykes, and worked with Spike Milligan and Tony Hancock. Ex-Man City midfielder Colin Bell gets an OBE for services to the community, while Olympic 4x100m gold medallist Darren Campbell will receive an MBE. Wigan Warriors and Great Britain rugby league captain Andrew Farrell receives an OBE. Farrell, 29, joined the Warriors aged 16 and stayed with the club throughout his career. He first represented Great Britain in 1993 and was made captain aged 21. Colin Bell, 58, from Altrincham, is regarded by many fans as the best City player of all time, and has a stand named after him at the City of Manchester Stadium. His career was cut short when he suffered a knee injury in 1976. Bell was City's leading goal scorer in the first season after promotion to Division One and went on to win League Championship, League Cup, FA Cup and European Cup Winners' Cup medals. Erik Sykes, 81, is now deaf, has failing eyesight and has suffered several health problems including a stroke and a heart bypass operation. MPs signed a motion demanding that Sykes be honoured after he was missed off the Queen's birthday honours list earlier this year. Darren Campbell was among the British quartet of sprinters who won the relay gold at the Athens Olympics. Robin Paul Halward. Formerly deputy director general, Immigration and Nationality Directorate, Home Office. Professor Dian Donnai. professor of Medical Genetics, University of Manchester and clinical director, North West Genetics Service. For services to medicine. Professor John Garside. Formerly principal and vice-chancellor, University of Manchester Institute of Science and Technology. For services to higher education. Dr Pauleen Alice Lane. For services to local government. Eric Sykes, OBE. Actor. For services to drama. Professor Anne Lesley Abbott. Professor of Early Childhood Education, Manchester Metropolitan University. For services to education. Dr Wadi Yusuf Nassar. For services to community relations in Manchester. (Cheshire) Robert Leslie Scott. Formerly acting director, Museum of Science and Industry, Manchester. For services to museums. Rodney Horrocks Sellers. For services to business in the North West. Dr Stephen Thomas Whittle. For services to gender issues. 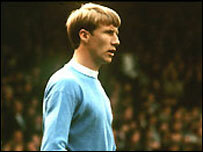 Colin Bell. For services to the community in Manchester. Colin Brierley. For services to the community in Gorton, Manchester. Dr Ronald Burgess Broughton. For services to freshwater fisheries in the North West. Ms Christine Burns. Formerly vice-president of Press for Change. For services to gender issues. Darren Campbell. Athlete. Services to athletics. Leonard Craig. Group manager, Valuation Office Agency, Manchester. Mrs Violet Drummond. For services to the community in Oldham, Greater Manchester. Miss Frances Anderson Floyd. For services to the community in Manchester. Brian John Lancashire. Patient Safety manager, National Patient Safety Agency. For services to the NHS. Mrs Anne Lesley Mansell. Teaching assistant, Seymour Road Primary School, Clayton, Manchester. For services to education. Andrew Joseph O'Sullivan, BEM. For charitable services in Rochdale, Greater Manchester. Francis Rothwell, JP. For services to the community in Leigh, Greater Manchester. Sidney Myer Wander. For services to the community in Manchester. Mrs Barbara Wilson. Chair, Friends of Coalshaw Green Park. For services to the community in Oldham, Greater Manchester.